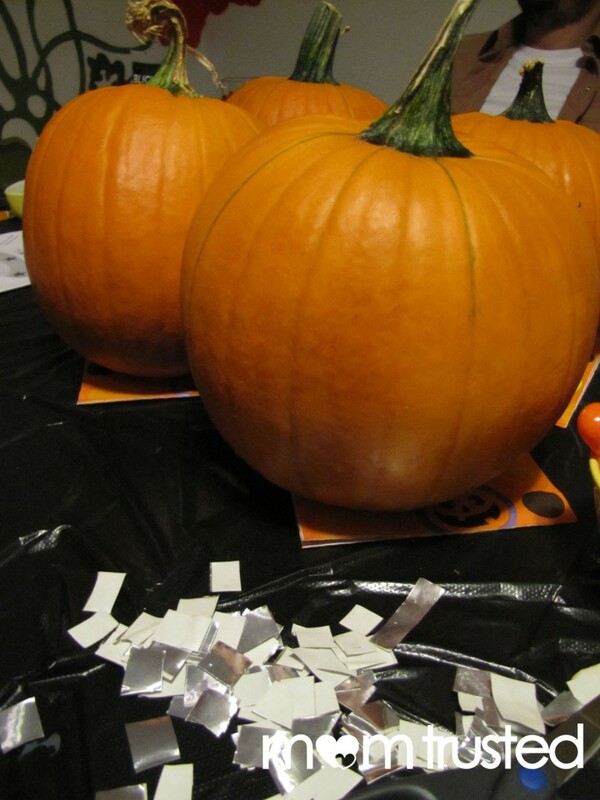 Carving pumpkins is tons of fun (and the tools have gotten ridiculously better since I was a kid!) but it sure is messy, and sometimes it doesn’t seem like a great idea to put all those sharp tools into tiny hands! 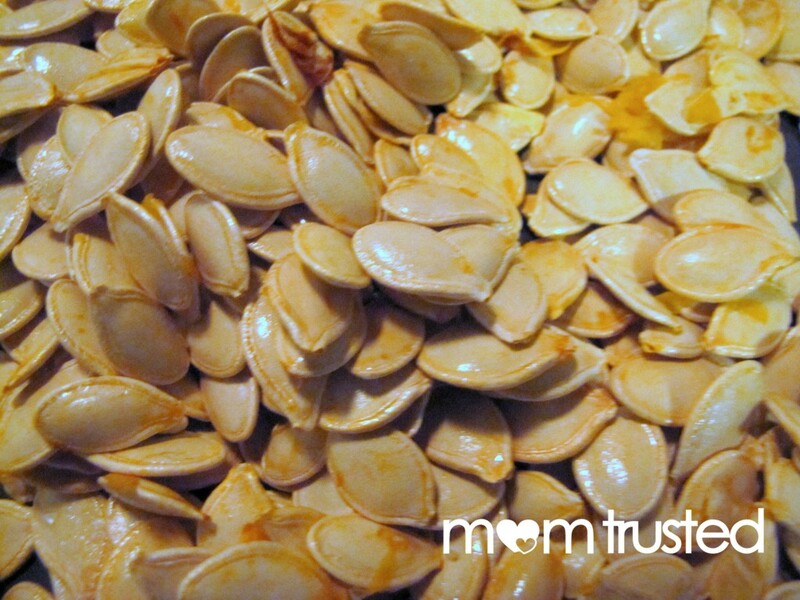 While the grown ups are carving, and sorting the pumpkin seeds for a treat later, consider this alternative for the little guys. 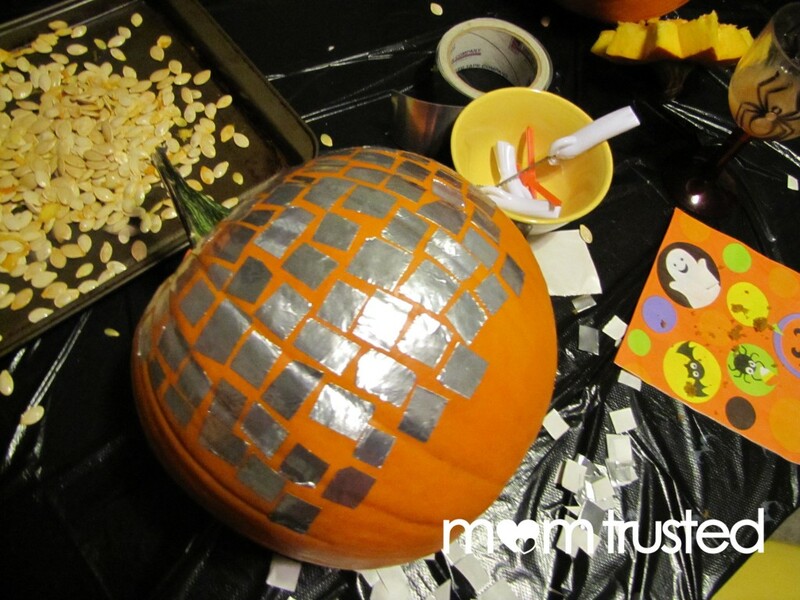 We used a metallic tape from the basement (I think it’s probably used for duct work – but it wasn’t duct tape). The tape is adhesive with a backing on it, like a sticker. Anything that is backed (think contact paper, adhesive vinyl, etc) will work! 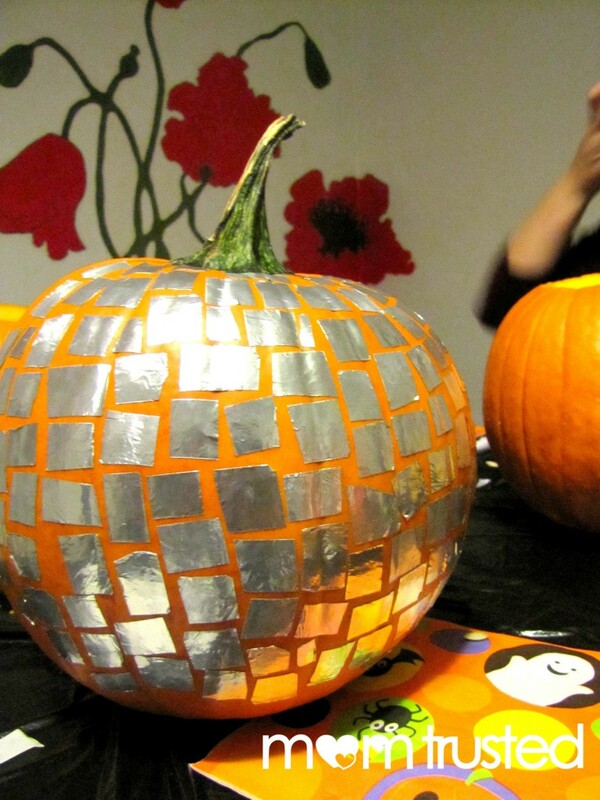 Cut your stickers into lots of little shapes. 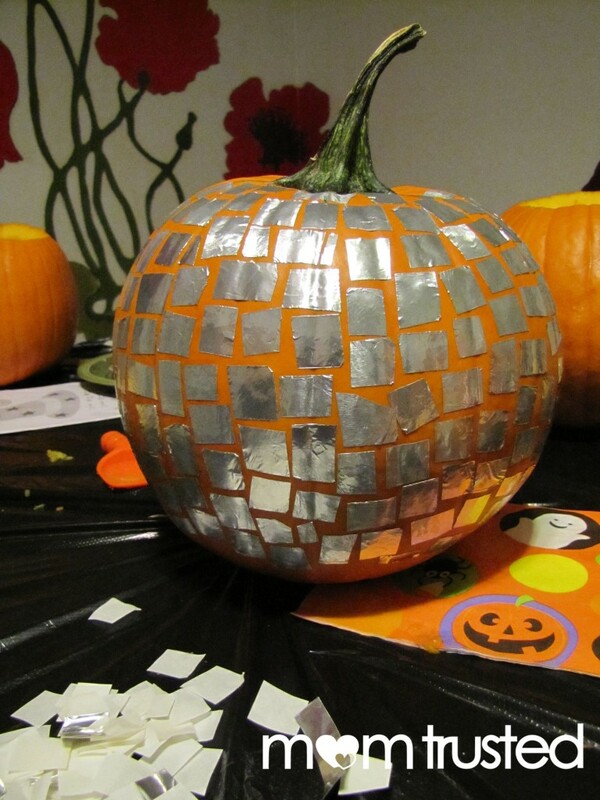 We choose squares, since the silver is disco-ball-esque. (Plus: squares are easy to cut! We cut long strips, then snipped them into tiny squares). 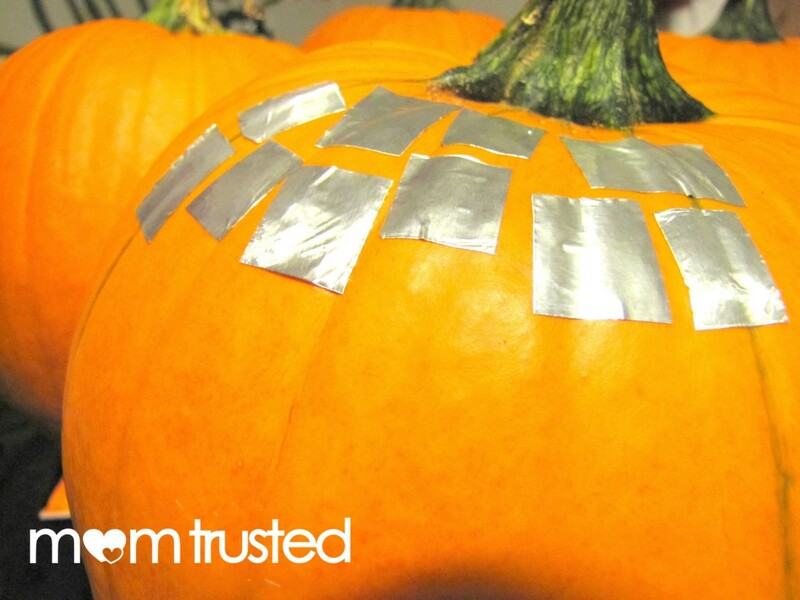 Let your kid peel and stick (and peel and stick and peel and stick) until you have a masterpiece on your hands! It’s a great way to keep little hands busy! 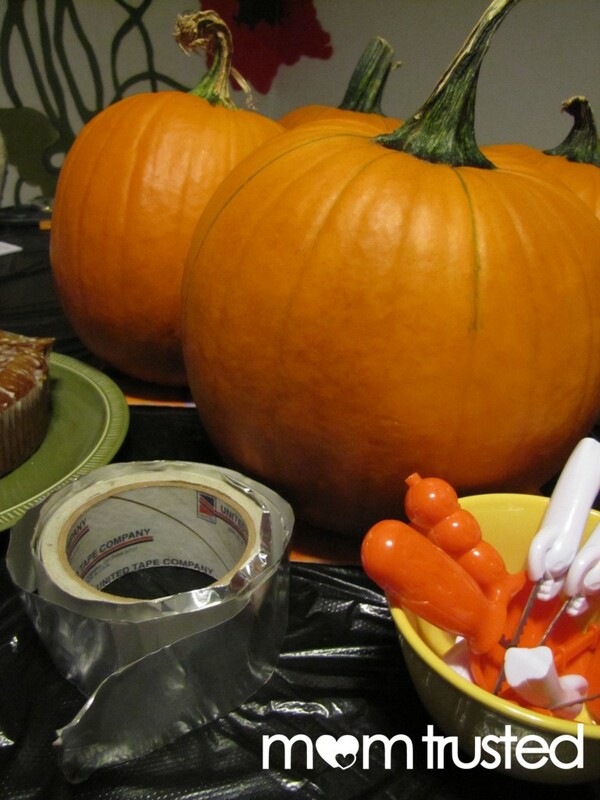 A non-carved pumpkin will probably last longer than a jack-o-lantern, but still has that bright orange Fall appeal. 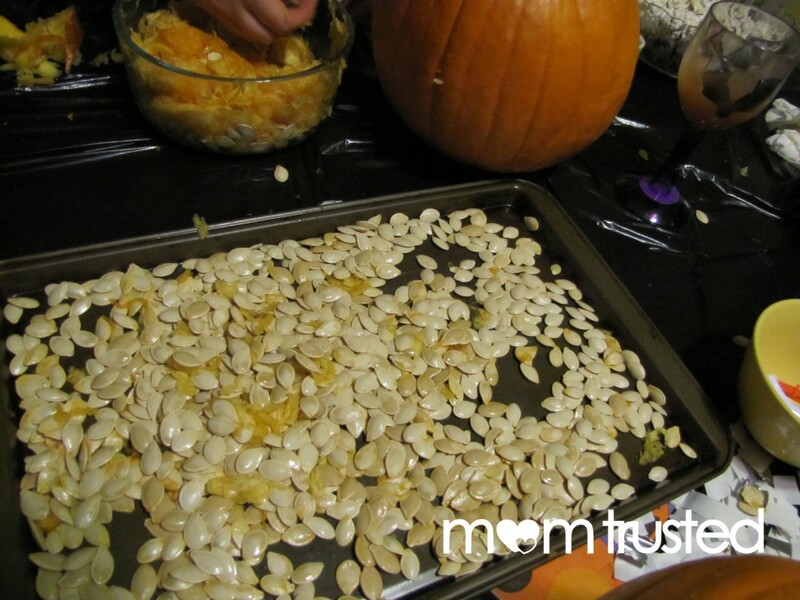 Meanwhile, if you ARE carving up some of the pumpkins: toast those seeds up and then chow down! We did ours at 350 for about half an hour. Then we salted, and let them cool before we got into them. Yum!